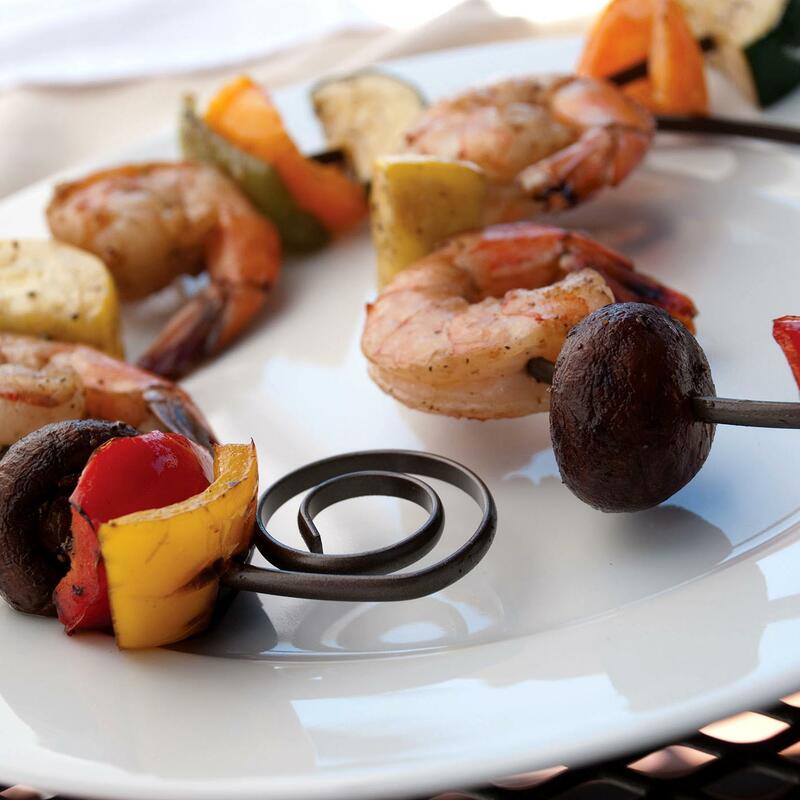 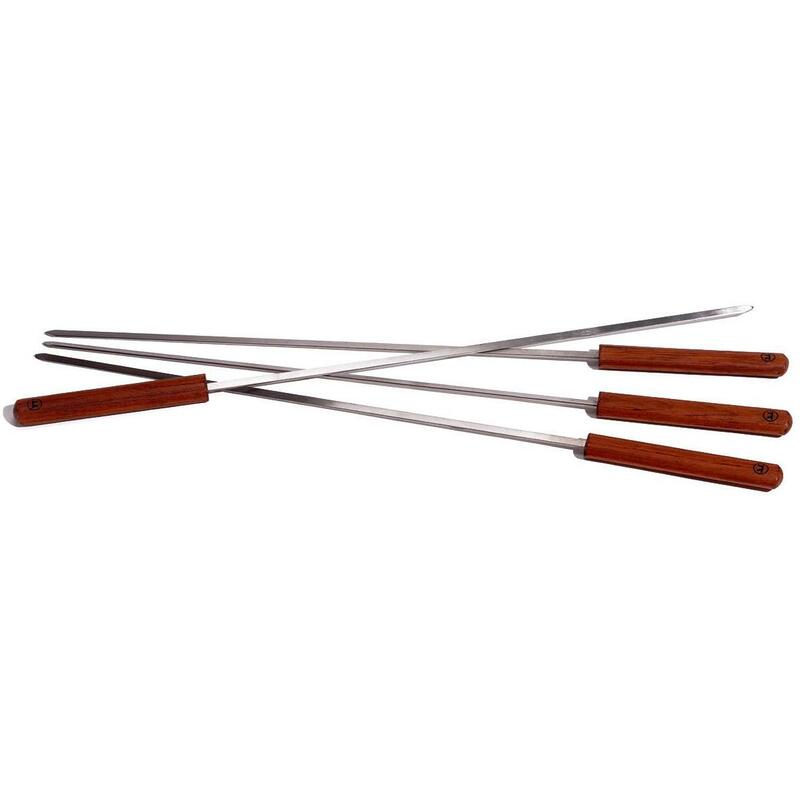 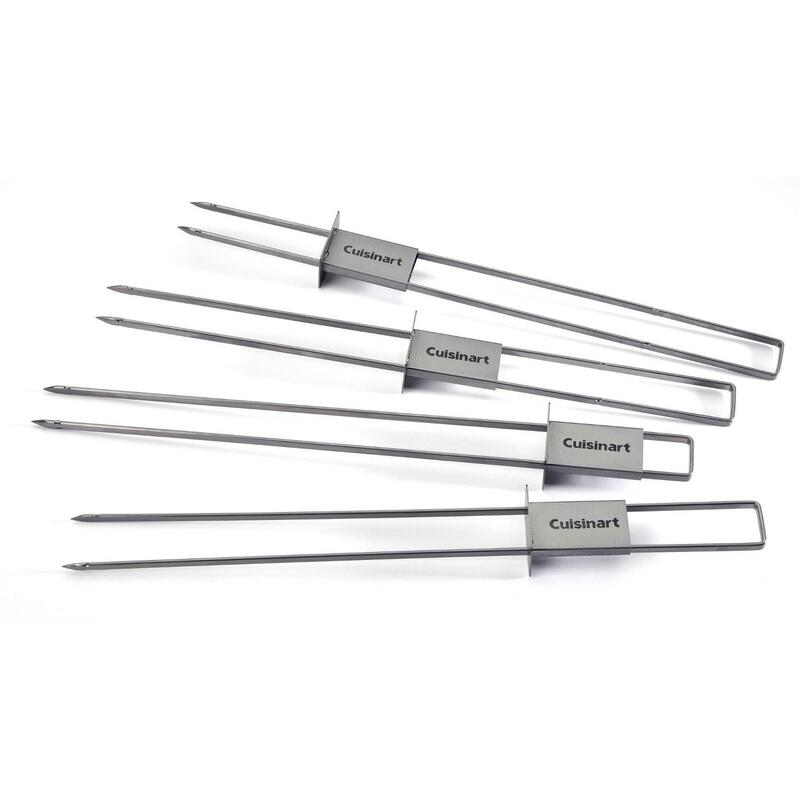 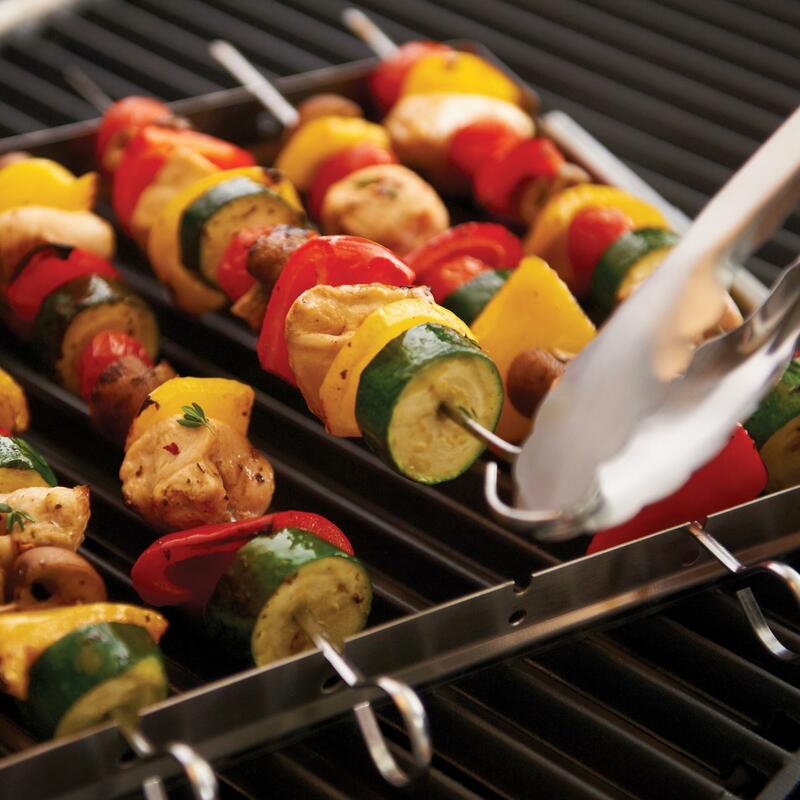 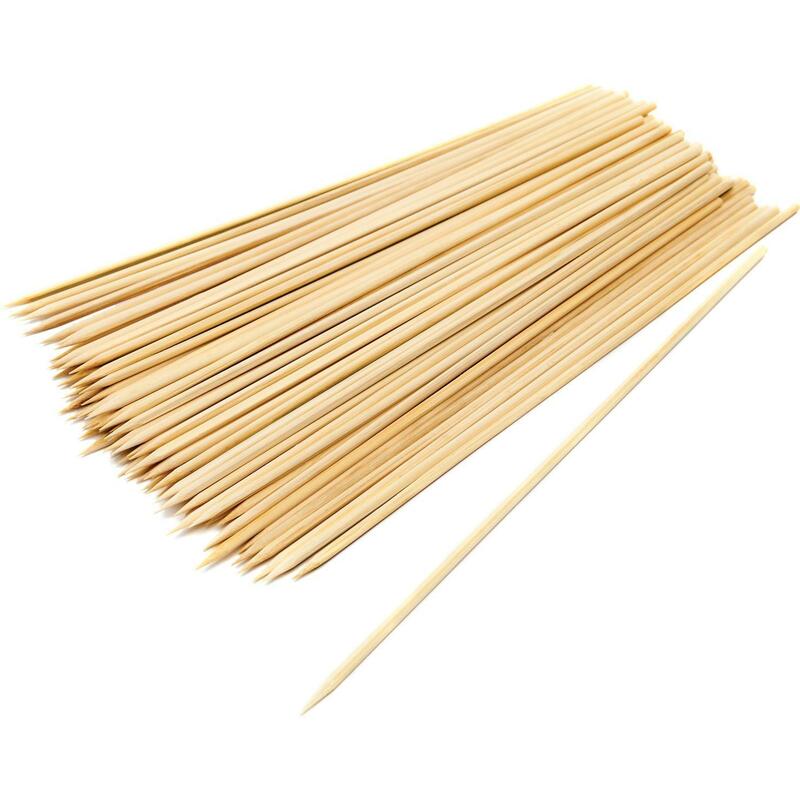 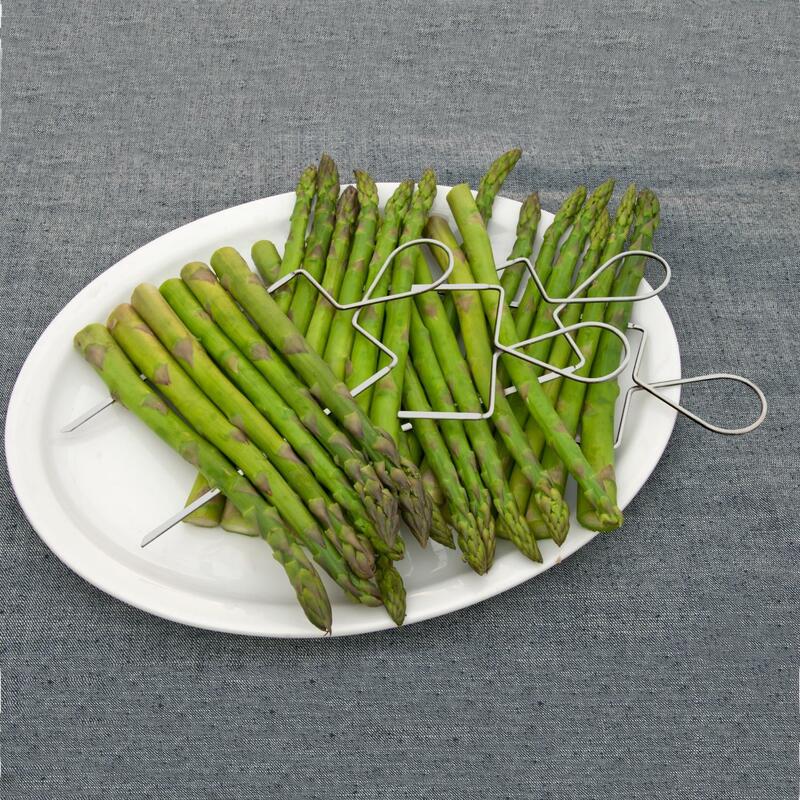 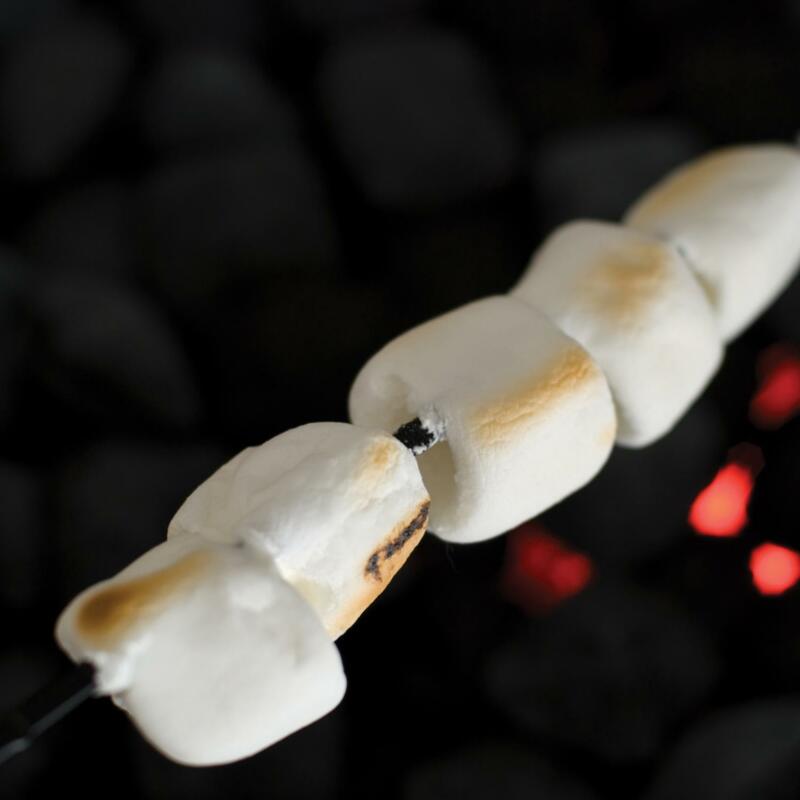 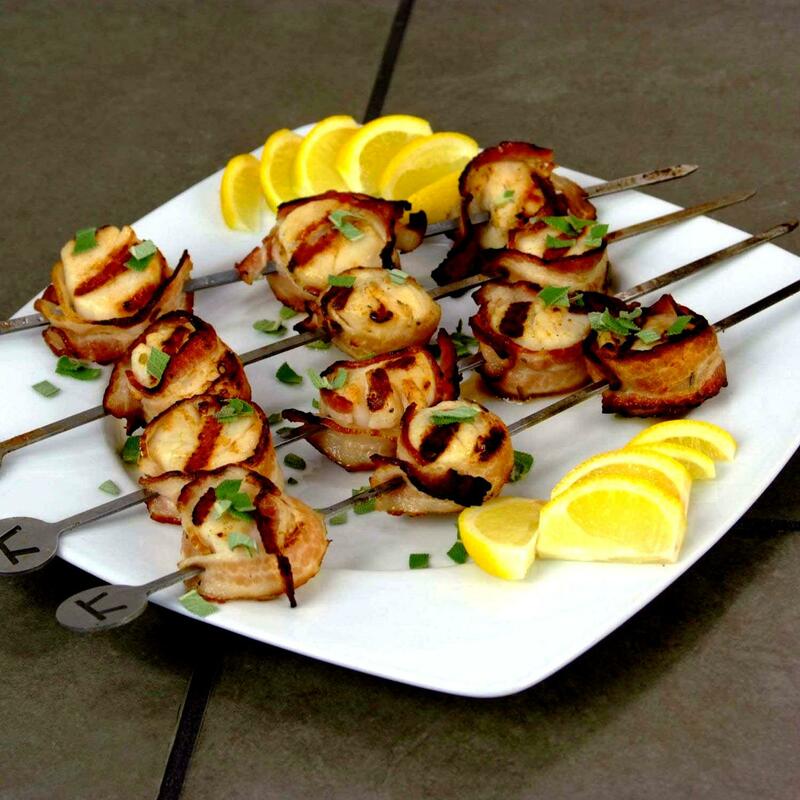 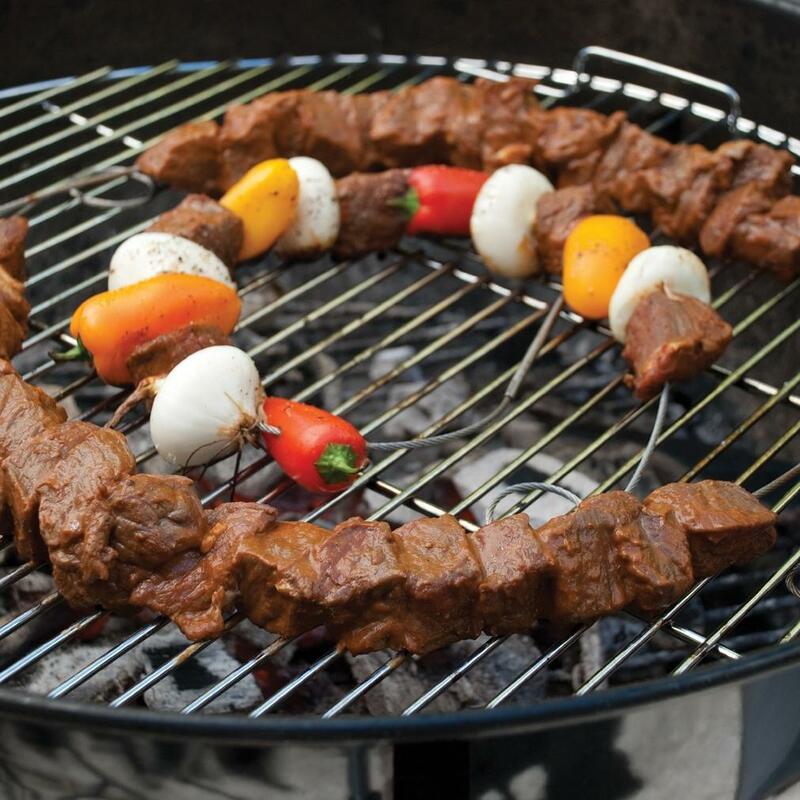 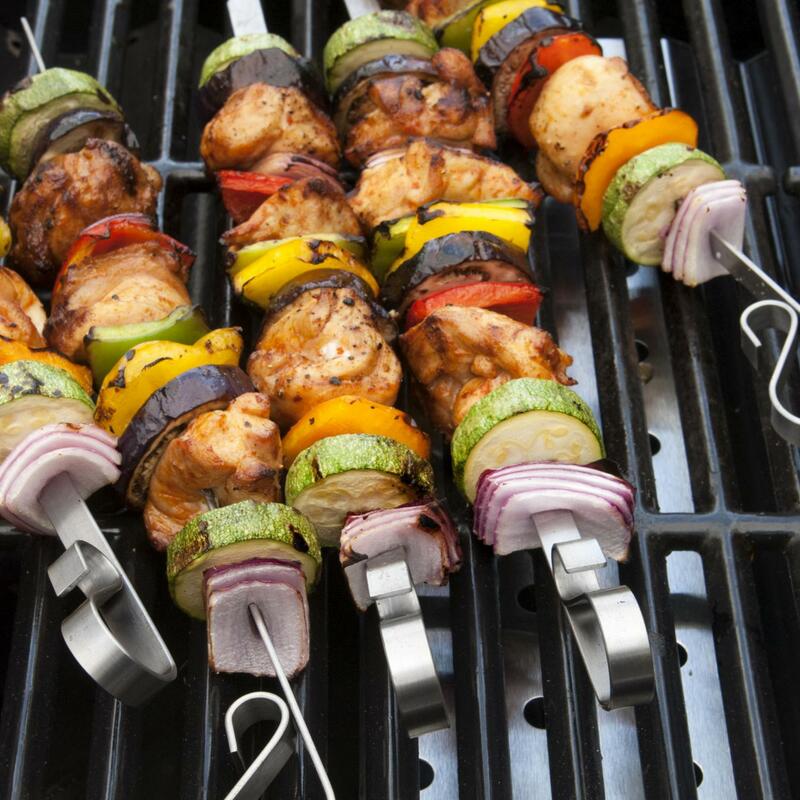 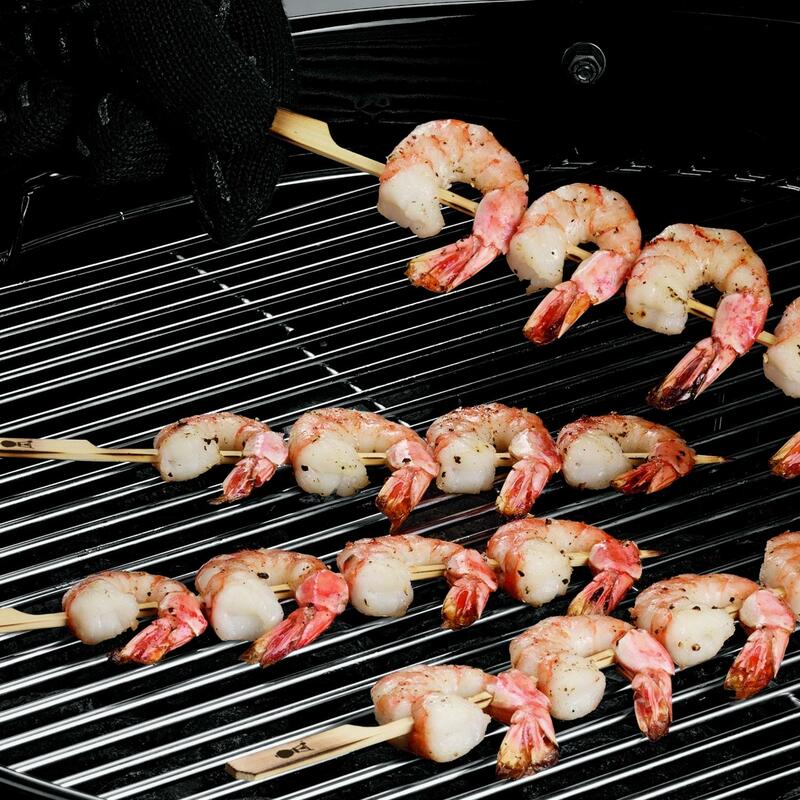 Product Description: 12-Inch Stainless Steel Flat BBQ Skewers - Set Of 6. 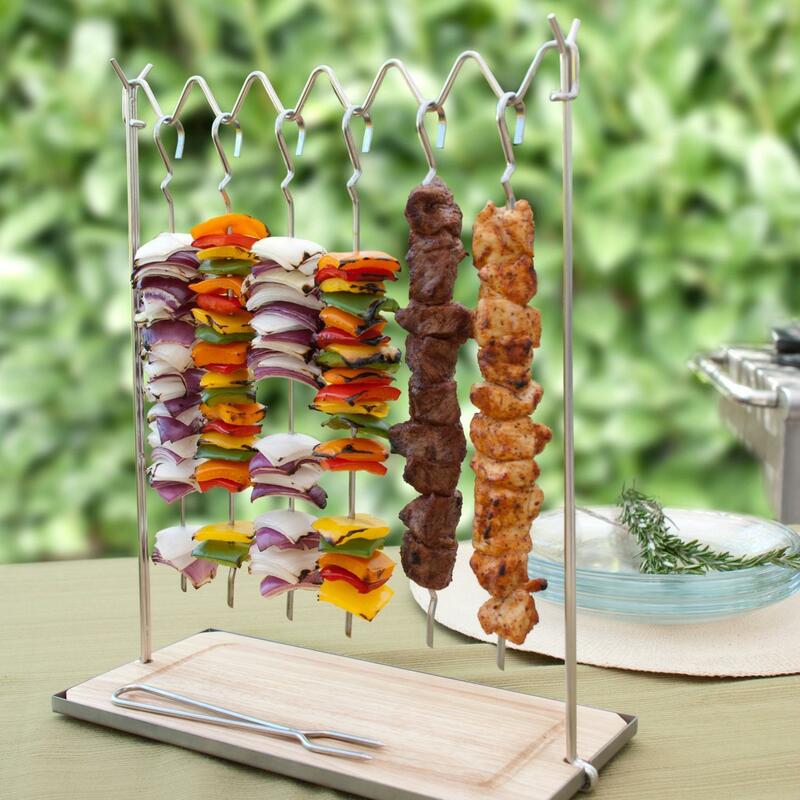 These BBQ skewers have a wide, flat design that accommodates larger cuts of vegetables and meat while helping prevent food from spinning. 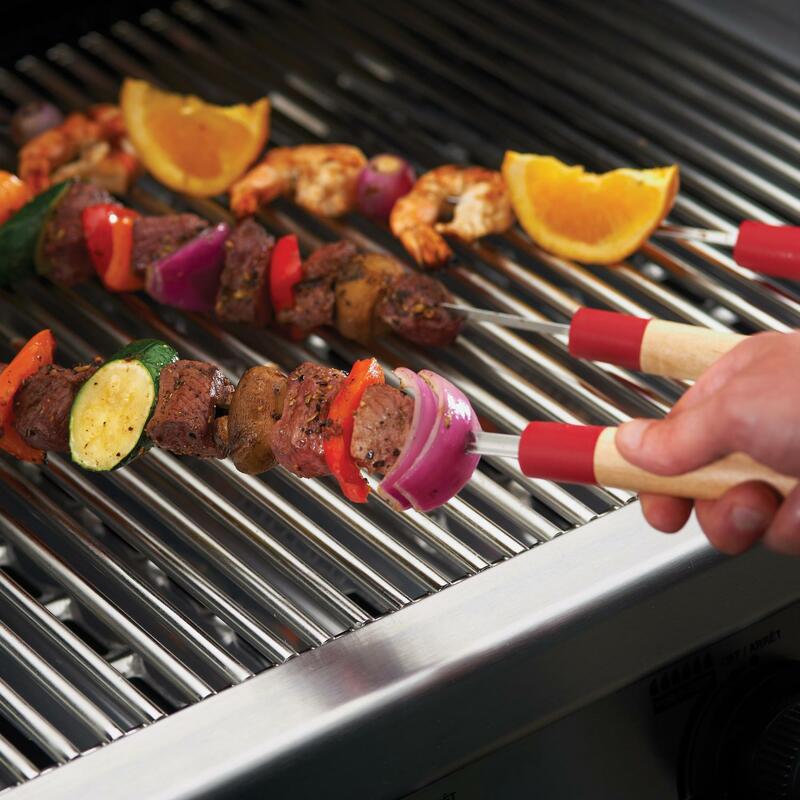 The built-in looped handles make for easy handling. 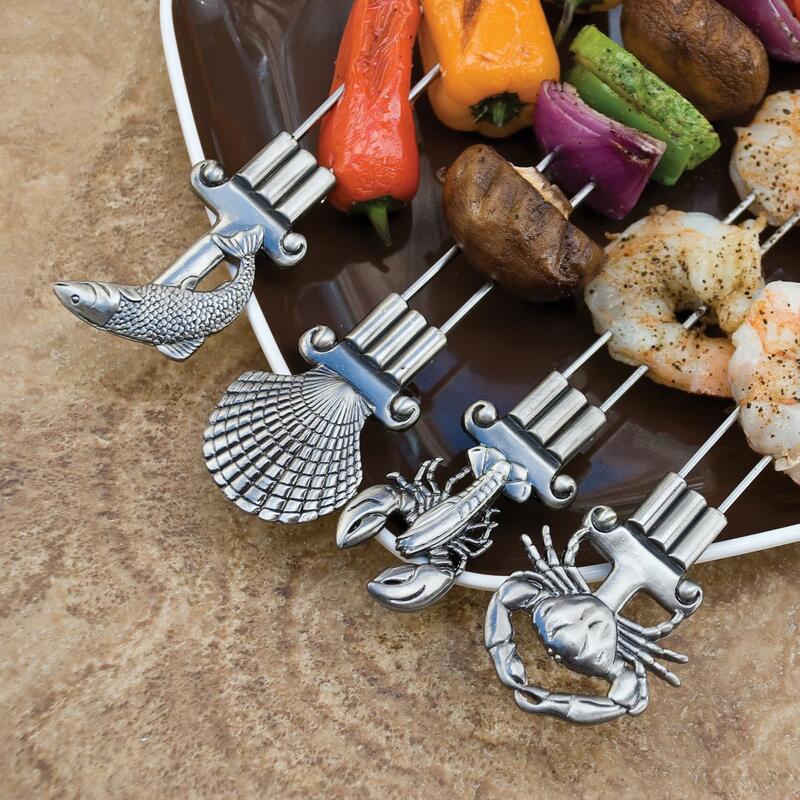 Set includes 6 skewers.